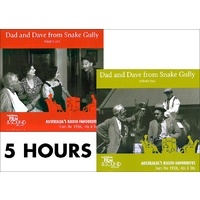 DAD AND DAVE FROM SNAKE GULLY first went to air in 1937. 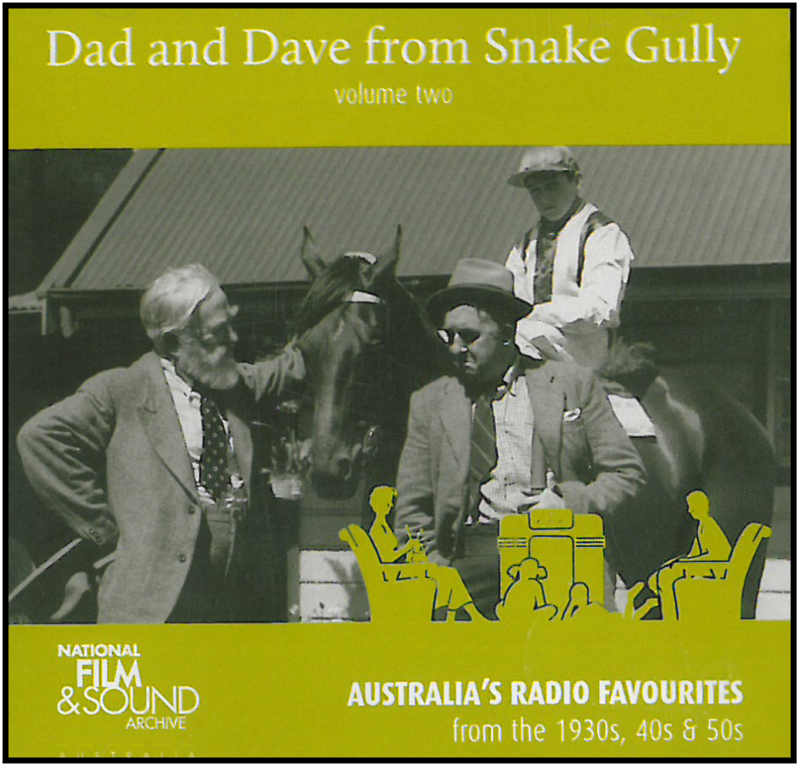 In a quintessential Australian drama, these archetypal characters displayed a recognisable brand of bush humour which the public lapped up. Created by radio actor and producer George Edwards the series ran for 16 years - an astonishing 2,276 episodes - finishing shortly after Edward's death in 1953. Known also as the 'Man with a thousand voices', Edwards voiced the part of Dad Rudd, along with up to 10 other characters! 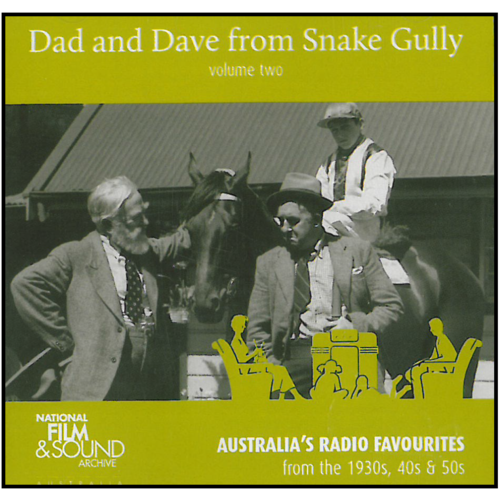 Dave was played by John Saul, and Mum was played by Nell Stirling (Co-creator of Dad and Dave from Snake Gully, and married to George Edwards). Dad is feeling ill and consults a medical encyclopedia. Dad and Bill Smith both have measles and are trying Mum's patience. Meanwhile Dave and Mabel's twins are to be christened and Dad and Bill will miss out on the celebrations. Dad and Bill disobey Mum's diet instructions and things go very wrong. The running of the annual Snake Gully Cup! Annie and Alf have a ball at their new home.